Ephraim Shores Resort is officially open this month! For your Door County Half Marathon lodging needs we are open May 4-5, and open for the season on May 11. This means it’s time to plan your summer getaway. There are many reasons to come to Door County: the views, the many state parks, the shopping, to stay at Ephraim Shores (of course!). But, one thing is often overlooked: the golf courses. There are numerous golf courses and most open in May. Contact the individual golf courses for information on their opening days. Staying at Ephraim Shores puts you 1.2 miles from one of the most beautiful courses in Wisconsin. It is only a two-minute drive to get to Peninsula State Park Golf Course. Door County golf vacations are easy when you stay with us. Peninsula State Park Golf Course is one of the more well-known courses which overlooks Eagle Harbor, showcasing Ephraim. It is open May 5 through October with tee times available dawn-dusk, weather permitting. However, Peninsula State Park Golf Course is not the only option to golf in Door County. Horseshoe Bay Golf Club (the fourth ranked private golf club in Wisconsin), Bay Ridge Golf Course, The Orchards at Egg Harbor, and Alpine Resort and Golf Course are just a few of the many courses to take a swing at this season. 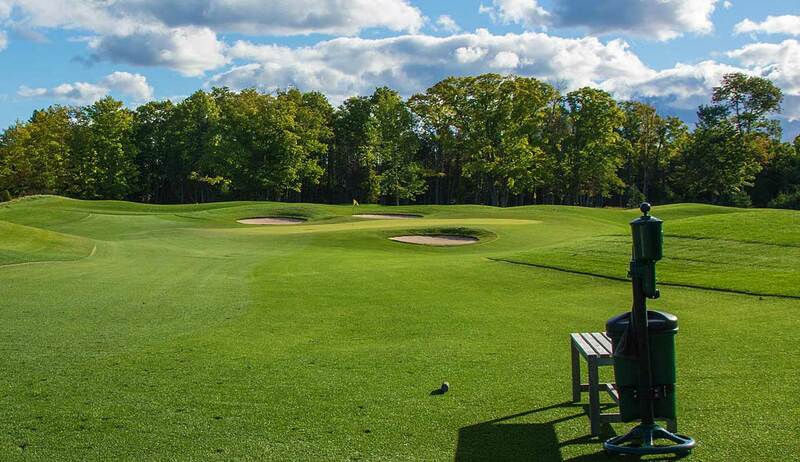 Your Door County golf vacation can not be put off any longer. For more information on golfing in Door County go to https://www.doorcounty.com/experience/golf/?page=2&letter=P. Our location makes you close to two of the best courses in Door County, Peninsula State Park Golf Course and Horseshoe Bay Golf Club. When you get done golfing our pool and hot tub are waiting for you. Book your Door County golf vacations now. Located in downtown Ephraim, with a private sundeck overlooking Eagle Harbor, Ephraim Shores Resort is the family friendly resort for groups of all sizes. From our many room types to our beautiful waterfront location, Ephraim Shores has everything your family needs for the perfect vacation. Some of our amenities include an indoor pool and hot tub, and bikes for our guests to use. Contact us at 877-854-2371 or visit our website at ephraimshores.com to make your reservation.